Knit and Crochet Now! is a public television program with host Deborah Norville and several other knit and crochet experts sharing projects and techniques in their respective crafts. The fourth season has 13 episodes, available in a 3 DVD set that comes with a CD containing PDFs of all of the patterns featured on the show. 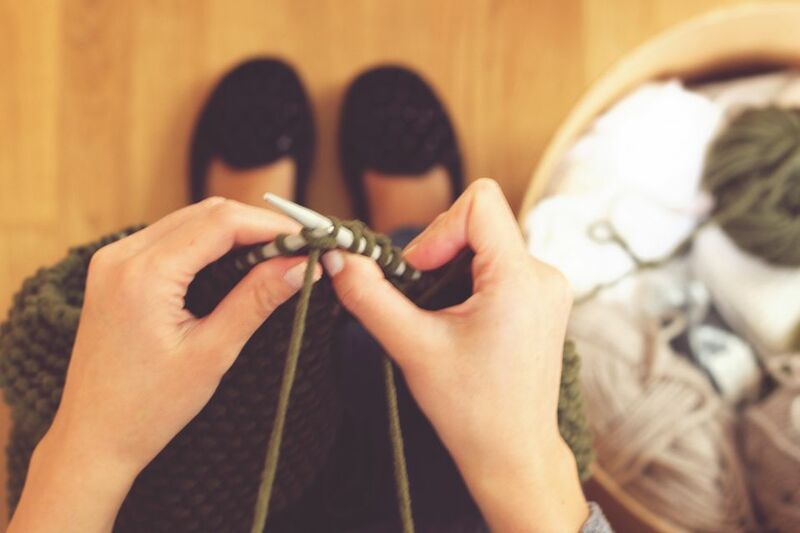 Almost every show includes both knitting and crochet, except for the one about crocheted hats and the one with knit bags (that one also consists of a bag worked on a knitting loom). In addition to the main projects, this season also features a "scarf of the week" segment, which shows off a knit or crochet technique you can use on a scarf. What makes this program particularly appealing is the fact that you can access quite a few of the patterns from Season 4 for free on the Annie's Catalog website. The website, of course, makes its money by providing users with quick, easy access to all the items required to make each craft. Annie's prices are not unusually high, so if you find it hard to get your hands on the yarn or tools you need, you can click, order, and get started. In addition to the host, you'll see one or two other stitching experts on each show. The crochet pros are Ellen Gormley, the author of Go Crochet! Afghan Design Workbook; and Robyn Chachula, who is the author of six books including Blueprint Crochet and Baby Blueprint Crochet. The knitting experts are Kristin Nicholas, who is the author of eight books, and Maggie Pace, an artist, graphic designer, and avid crafter perhaps best known for her felting books. There are nearly 40 knit and crochet patterns demonstrated in this season of the show, so there are a lot of things for knitters of all skill levels to like. The show does emphasize skill building projects that give crafters confidence to take their projects to the next level. Admittedly there are some projects of limited appeal such as the golf club covers but for the most part, even the projects you wouldn't make yourself are interesting. Some especially interesting knitting projects in this season include the fun Hexagon Afghan, where pieces are worked from the outside in and joined as you go; the topsy-turvy Elephant and Mouse toy from Susan B. Anderson; the sweet and easy Faux Cable Fingerless Gloves; and the crazy but really interesting Felted Circle Purse that could have only been designed by Maggie Pace. Some of the projects are a little complex for the rather short time allotted to each demo in an episode, but the instructions that are available for download or come with the DVD make it easy to complete the projects. This series is fun, engaging and shows a wide range of techniques and projects for knitting and crochet. If you enjoy "Knit and Crochet Now!" and want to have the whole season at your fingertips, this is a good investment. Or if you happen to live somewhere it doesn't air and want something fun to knit to, this is an enjoyable series, and you'll probably even learn a thing or two from watching it.